Maine voters on Nov. 6 will decide four bond questions, including a proposal to borrow $106 million to fund repairs to the state’s roads, bridges and other aspects of the transportation infrastructure. The borrowing would pay to mitigate wastewater pollution in coastal watersheds, for upgrades to the state’s aging transportation infrastructure, and for facility and programming improvements at public higher education campuses. In July, the Legislature settled on four borrowing questions for the November ballot after more than a year of vetting dozens of other bond proposals. Republican Gov. Paul LePage, who has often quarreled with lawmakers about bonds and who continues to withhold some voter-approved borrowing measures, indicated that he could tolerate $300 million in new borrowing. But lawmakers stalled for months before they agreed to a compromise borrowing package. Mainers also will vote on a citizen’s initiative Nov. 6. Question 1 asks Mainers to support a 3.8 percent tax hike on wages and nonwage income to pay for a Universal Home Care Program for seniors and people with disabilities. If approved, it will be the first of its kind in the nation. The bond questions, however, generally mirror past efforts to find capital needed to maintain aging infrastructure. The secretary of state’s office chose the ballot order by lot. The wastewater bonds would help fix town septic systems that are polluting coastal watersheds. Question 2 would direct $30 million over the next decade to municipalities in Maine where subpar septic systems are leaking untreated stormwater and sewage into the ocean and nearby lakes and rivers. It will also pay for homeowners who are served by the outdated systems to install any needed infrastructure, including disinfectant and filtration systems, and fund future facility research and planning to protect shellfish harvesting areas. In 2016, an estimated 470 million gallons of untreated wastewater flowed into some of Maine’s major waterways, which affected drinking water and fisheries, Natural Resources of Maine Advocacy Director Pete Didisheim told the Joint Standing Committee on Appropriations and Financial Affairs in January. This money will cut into the more than $1 billion in backlogged wastewater upgrade projects currently spread across 120 communities, Paul Mercer of the Maine Department of Environmental Protection has said. The transportation bond would support maintenance of Maine’s crumbling transportation systems on land and water. Question 3 would invest $106 million into maintenance of the state’s roads and bridges, including a $1 million remediation of Maine Maritime Academy’s waterfront pier in Castine. Of the total, $20 million would be directed to enhance ports, harbors and marine transportation, along with passenger railroads and pedestrian trails. Another $5 million would be administered by the Department of Environmental Protection to upgrade culvert projects around the state to improve fish and wildlife habitats, specifically where they intersect with towns and cities. 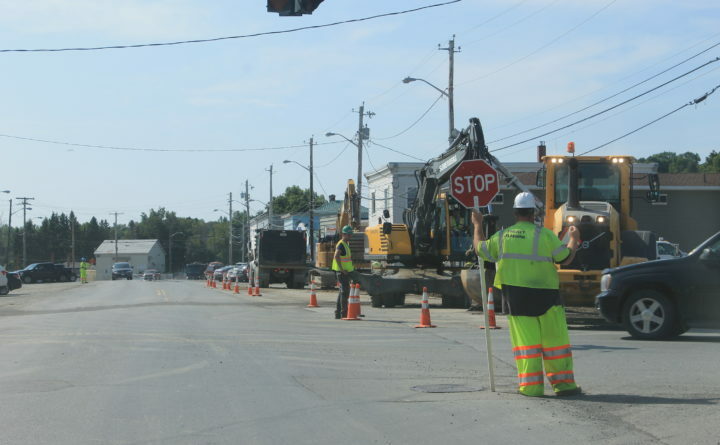 The bulk of the money — $80 million — would be directed to reconstructing high-trafficked roadways in Maine in most dire need of repair. This includes parts of Route 1 in Aroostook and Washington counties, Route 201 from Fairfield to Canada, Route 9 from Bangor to Calais, Route 2 west of Newport, and Route 114 from Gorham to Naples. If approved, the state expects approximately $88 million in federal funds to match any bond proceeds. The education bonds would fund energy-efficient upgrades and new educational programs to Maine’s community college campuses, and facility renovations across all university campuses. Questions 4 and 5 would give $49 million, matched by another $49 million in public and private money, to Maine’s university system to modernize and improve facilities across the seven campuses. About half of the system’s 550 buildings haven’t been upgraded in 50 years, University of Maine Chancellor James Page told legislators earlier this year. The money would mostly be used for renovations, but some buildings would be razed and reconstructed. Another $15 million would be earmarked for energy efficiency upgrades to heating and ventilation systems at all six of Maine’s community college campuses. Approximately $3.4 million of that would allow Northern Maine Community College to expand its diesel hydraulics program, and Kennebec Valley Community College to invest in a new millwrighting and industrial mechanics programs. Central Maine, Eastern Maine, Washington County and York County community colleges, in a combined $7.4 million, would also upgrade teaching laboratories. Bonds tend to perform well with voters in Maine, especially during midterm elections. Since 1990, voters in Maine have approved more than 80 percent of all bonds, according to updated information from a 2015 study by James Melcher, a University of Maine at Farmington political scientist. Likely due to lower turnout, bond approval in Maine has a slight leg up during gubernatorial elections, when the chances for approval are 71 percent, compared with 67 percent during presidential elections, Melcher said. Only 19 bonds have failed in the past 28 years. The most recent, an education bond that proposed borrowing $11.3 million for projects at the Maine Maritime Academy and for the state’s university and community college systems in 2012, failed marginally. Mainers have approved 21 transportation bonds since 1990 and rejected three, so Melcher expects this year’s to pass handily. He expects the education bonds to pass, but with lower margins.